Your daily diet must consist of nutritious, delicious meals with a touch of lively socialization. 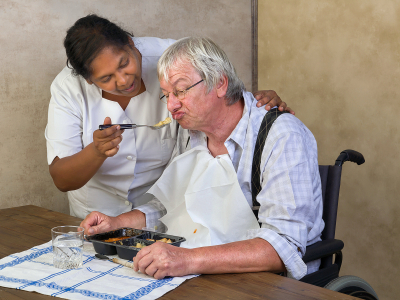 A Plus Caregivers will help senior and elderly with everyday tasks such as meal preparation. We understand that constantly cooking meals can be a hassle for seniors, that’s why our caregivers can help in the kitchen! Our caregivers will cook your loved ones nutritional and wholesome meals! Your loved ones deserve to eat healthily, and with us, they can. In many cases, seniors work side by side with our caregivers in cooking meals which is a great time to promote social interaction. You can never go wrong with A Plus Sitting Service. For further inquiries, get in touch with us. Our friendly home care representatives will be glad to answer your every concern.